Brexiters – Why do they rage against everything British? It is indeed utterly bizarre that many of those who made sure the House of Lords could not be democratically reformed are now attacking that very same institution because it’s trying to save the UK from a Brexit so dangerous to our economy, to jobs, to the NHS etc. etc. whilst the House of Commons falls behind May and Corbyn whilst not speaking out. We live in very dangerous times when the House of Commons is so weak that only the unelected House of Lords is prepared to stand up for everything British. Well this is a sobering article indeed but frankly it’s not so far away from what I have been thinking. No Government can survive for ever a sustained attack on the living standards of its people and that’s what the Tories are creating and indeed deepening. 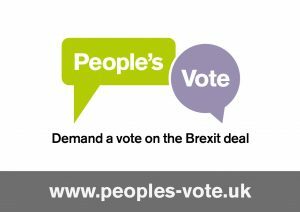 Brexit, especially a Hard Brexit would be a hugely challenging agenda if we were at the top of a the economic cycle, with low debt (personal and public/national), good public services and wages at a decent level. Trouble is we have have none of these advantages so Brexit, with its huge costs to the public purse and our personal finances, should not even be being contemplated by all but the seriously deluded for a very long time indeed – or never in my book. Why you can see Downing Street saying ‘we must deliver Brexit come what may; its the will of the people’. Well no its not actually as those that voted for it, or at least the vast majority of them, had no idea what damage it would cause to the UK and their own livelihoods. The bottom line is that even if we ignore the huge black hole of Brexit we are in a horrible economic place with little chance of an improvement without a good following wind. The economic collapse of 2007 exposed very serious fault lines in the UK yet years of austerity have not really scratched the surface. To me the obvious reaction a to all this is scrap Brexit, scrap renewal of Trident, accept that taxes have to rise particularly for high earners and hope for an economic miracle. If all that happens then we may just about get our noses above the water line. And we thought that Greece and Ireland were in deep economic trouble! Another powerful piece spotted by Roy Connell on the Guardian web site – have a read of it via the link above.